This incredibly precious pup is Chippy. Get ready to be Charmed. 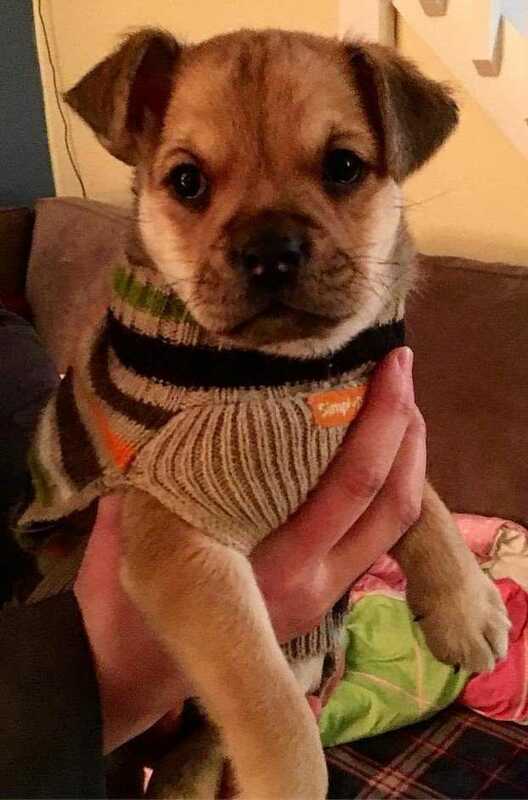 Young Chip is a Chihuahua mix who was born on December 22nd. He weighs about 5 pounds. Chippy is good with Everyone - dogs, cats, kids. This boy has a Spunky personality and he will be ready to go to his new home on February 15th. Get your application in now. This Cutie is not going to be around long. You can apply to adopt Chippy at www.mostlymuttz.org/adoption-application/.